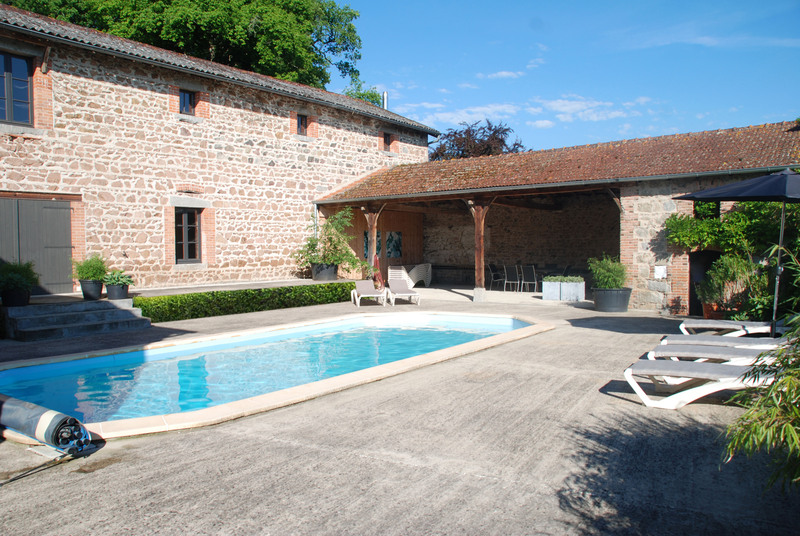 The swimming-pool can be found outside located between the side buildings, offering complete privacy. The swimmingpool is constantly heated. 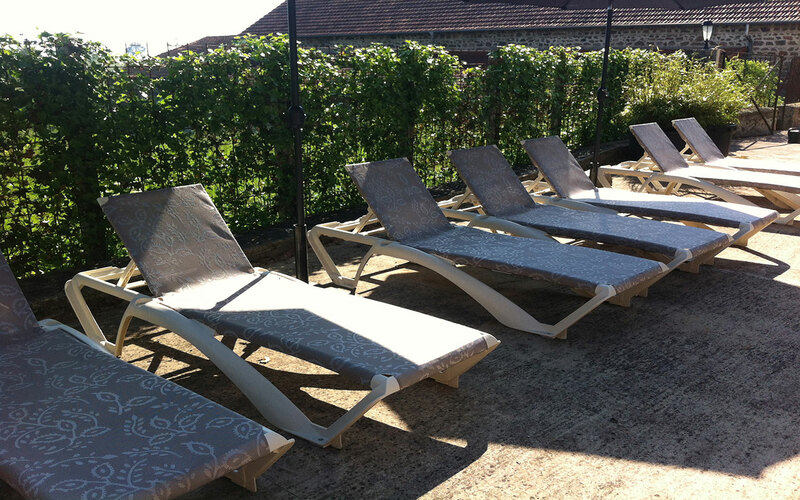 On the terras next to the swimming-pool you find sun loungers, parasols and a large, roofed terrace along one side perfect for enjoying lunch or finding shadow on a hot day, and for BBQ’s in the summer evenings. Enjoy to the max…! The swimmingpool is constant heated during the summer so also the less brave under us will enjoy a jump in the pool regurly. 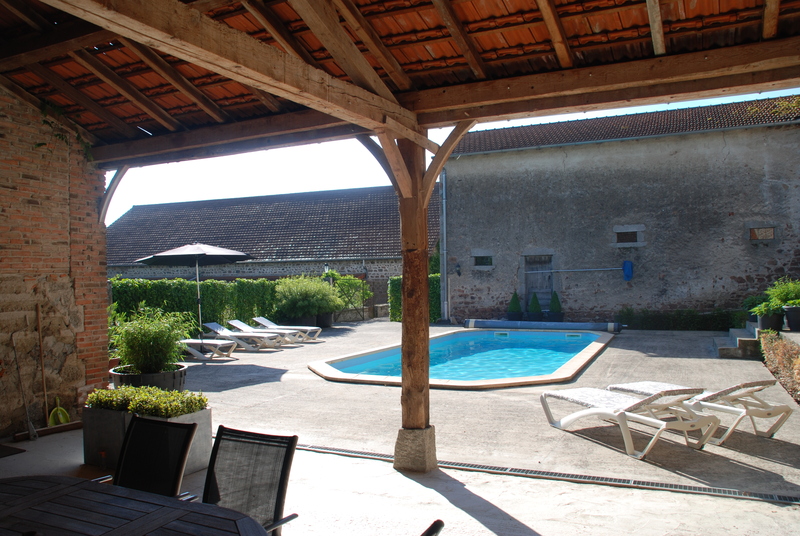 BBQ’s are of course also possible on the private terrace in front of Chateau Les Bardons. The pool is heated which means swimming from early spring to autumn. 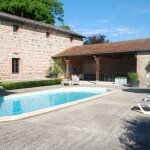 You will share this with the guests of Maison Les Bardons – if rented out. 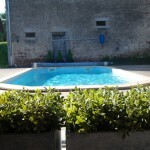 For safety reason directed by the French law the pool safety is secured by a fence. During the night there is also a cover to protect it even better, and this keeps the water on tempertaure during the nights.